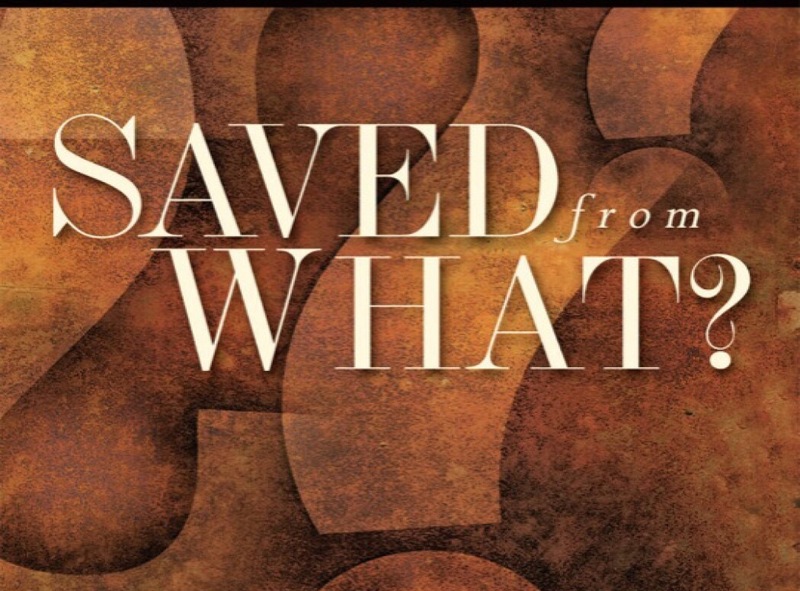 What else is there for Jesus to save you from? Whenever you tell someone that even the unbelievers are forgiven on the cross, people will call us universalists. They then ask you if so and so are saved. Firstly when Jesus died they were no believers with the possible exception the thief. Then people quote you a series of scripture of how you need to believe in order to be saved. Yet they don’t understand that it was a period of transition of covenants. That message of faith was necessary because during that time the people needed to be saved from the coming wrath of God. However the wrath of God was poured out in AD70 and has since been extinguished. Even Jesus said you will never see a similar tribulation. So when you read what believers tell you they constantly tell you: you are in Adam, you need to repent, you need to delivered from Satan and God’s judgment when you die. We have come to understand God’s wrath was appointed towards the generation Jesus came to. That wrath was visited upon that generation is the great tribulation which climaxed in AD70. So we are already saved from the wrath of God. We also know now that Jesus took the sins of the world away once and for all on the cross. We also know he took the sins of everyone. Including the unbelievers. That’s because when Jesus died there were no believers except the thief and the Roman soldier who said “truly this was the Son of God”. So we are already saved from sin. After much observation we now know that we know that the old covenant being the Law is totally abolished in AD70 when the temple was destroyed. The Levitical priesthood also ended. So did the old city of God Jerusalem. So we are already saved from the Law. We also know Satan has been stripped of his authority. He has been cast down. After AD70 he is under our feet. When Jerusalem fell he lost his dominion over us. So we are already saved from the Devil. As mentioned earlier the wrath of God was something that was attributed to the Jews of that time and when Jesus spoke about hell fire it was about Jerusalem in AD70 where millions were killed and that city was burnt to the ground for a few months. We have already been saved from hell. So now when we tell people you have to believe Jesus in order to be saved, what are we actually trying to be saved from? If there is nothing left for God to save us from, why do we say that it is universalism when we say that unbelievers need no saving except what was wrongly taught to them? Previous Do we need the armor of God today? Next The “present age” is in the past. Uncle Simon, I know Jesus died on the cross for the entire world. And from what I understand, everyone’s name is on the book of life. But when people reject what Jesus has done for them, their names are blotted out from the book of life right? So for people not to be saved its more of a opt-out thingright? Hi. The book of life is a book which is open every Rosh Hassanah. It’s no longer applicable today. Today we are the temple of the living God. ARE YOU CLAIMING THAT WHAT YOU ARE SAYING, BRO IS NOT UNIVERSALISM? HOW DO YOU EXPLAIN THAT PEOPLE RECEIVE WHAT CHRIST DID FOR THEM? It’s not called universalism. It’s inclusionism. Jesus died for everyone. Also forgiveness lies in the hands of God. Not its recipient.